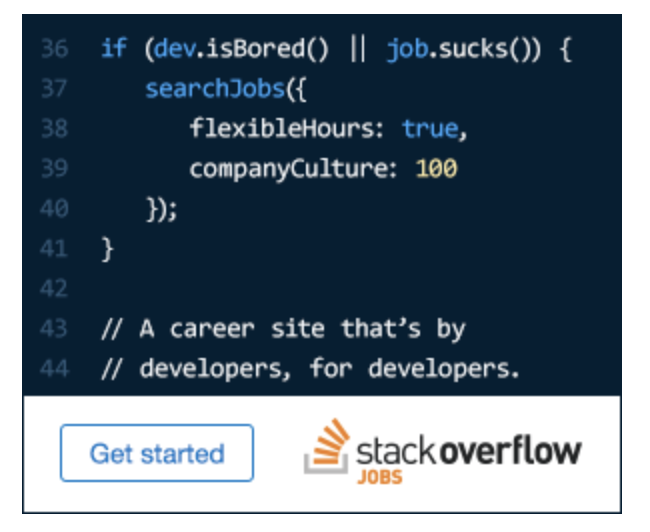 Should SO Jobs advertisement have appropriate comment format? 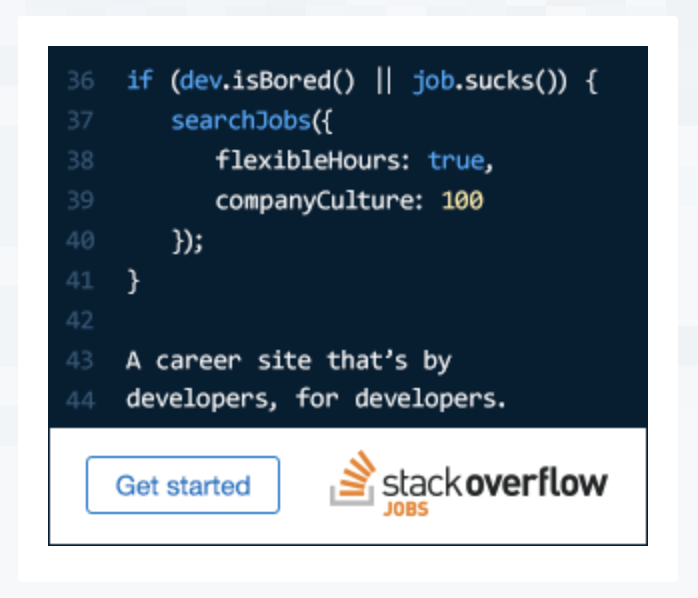 I mean, we are programmers, after all. This appears to have been updated. Coming to the question, putting them in the comments makes the color font really grey to the extent that most people would ignore it. Perhaps, if you would change the color font it would make a difference and putting it in a multi-comment format is much cleaner. Not the answer you're looking for? Browse other questions tagged bug status-completed jobs advertising . 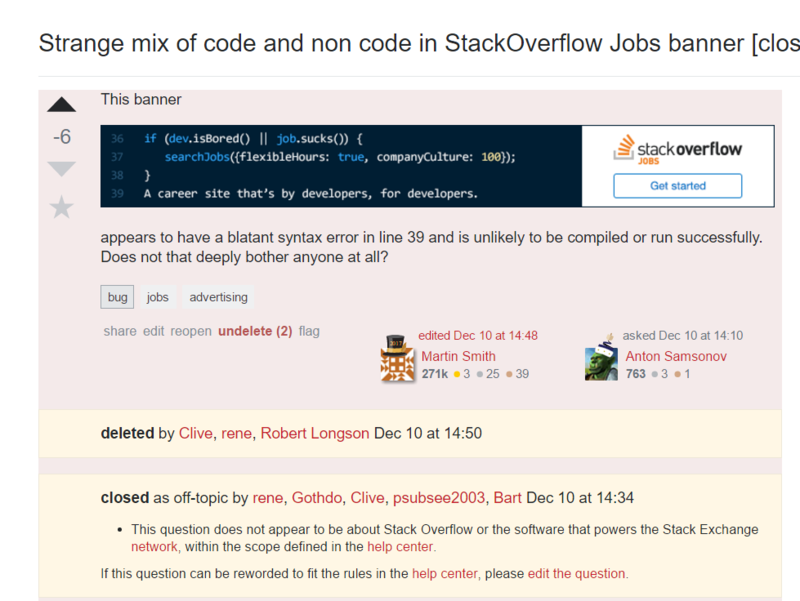 Single-line code block scrolling looks very bad on OS X!